Quality and reliability are the most important factors sought after in any car, and this does not only apply to brakes. On top of these, SUBARU also aims to deliver peace of mind and driving enjoyment. One example is during the development of brake pads and disc rotors, where after the required level of performance has been attained, the corresponding brake pads and disc rotors are designed impeccably to match each other. Above all, the most crucial factor with brake performance is being able to stop properly, without any squealing or vibrations felt through the pedal when applying the brakes. To give customers the utmost peace of mind, we set our standards extremely high. Cars are made from a combination of various parts. Yet cars cannot be considered complete by simply bolting these parts together. Fine-tuning the car is always required. When the brake system is being developed, there is so much more than just the brake pads – the characteristics of the disc rotors, calipers, suspension, and other components are all matched to suit one another; only then can the resulting product be considered a complete car. 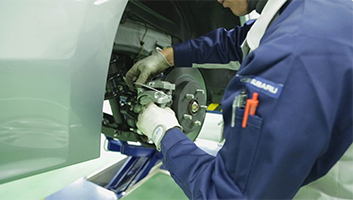 The biggest advantage of genuine parts is that they are designed to maintain the overall balance of the car when they are installed – we believe that this is the key point of using SUBARU genuine parts. The friction materials of brake pads used in passenger cars today can be broadly categorised into two types. The first is material designed for ordinary cars; the second is specifically for sports models. Even other manufacturers around the world make brake pads with these two types of friction materials, with specifications modified to suit each model by changing the size of the disc rotors, calipers, brake pads, or the brake booster’s characteristics. The major difference between these two types of friction materials is naturally, the material itself. One type uses a non-asbestos organic material (NAO material) that offers outstanding quality and wear characteristics; the other type is a raw steel material, which offers better braking and high-temperature performance. 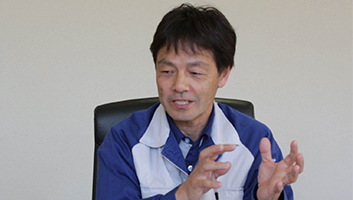 SUBARU selects the optimum material from their sound and wear characteristics to provide a smooth driving experience for those using their cars on a daily basis. For sportier cars, the brake pads are selected for their braking power and fade-resistance, to make driving all the more enjoyable. Most people think that brake pads are formed by sintering resins and other substances together, and that they generate braking power by rubbing against the disc rotors. The actual process, however, is slightly different. Many think that the surface of the brake pads and steel disc rotors grind against each other to generate frictional force, but in reality, a protective film is formed over the disc rotor’s surface, which then slides to generate frictional force. This film is quite difficult to form properly, particularly with brake pads made from non-asbestos materials. Resin is not particularly resistant to heat, and can break down at high temperatures, causing the film to peel off. The brake pads need to be properly matched to the disc rotors in order to form a clean surface. The total area of the disc rotors that comes in contact with the brake pads is about the size of a postcard, and the best way of converting the kinetic energy of a 2 ton object to heat through brake pads that are only the size of a postcard, is to ensure that everything matches up properly: this refers to the mechanism that forms the friction surface, the size of the friction surface, and the material of the brake pads and disc rotors. Only then can the ideal film and braking power be generated. 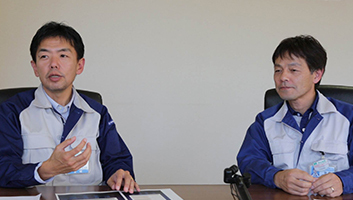 In addition to driving tests of actual cars that are conducted during the development phase, the actual brake system is mounted to a testing platform called a bench test to assess the characteristics of the individual brakes. The friction coefficient is a term that is commonly associated with brakes, but how do friction coefficients or friction characteristics relate to the car's speed or load? Performing the brake fade bench test, which involves applying heat, allows engineers to check whether the friction coefficient is within designed values. 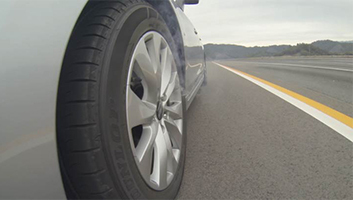 Endurance tests start with brand new disc rotors and brake pads, as well as a clean friction surface that are all in the same condition as a new car, and involve repeated tests under various conditions. Bench tests allow for ongoing development of brakes as we can test them reliably under a wide range of potential driving conditions - driving through rain, driving long downhill slopes, or even driving fast to make it to a destination on time. 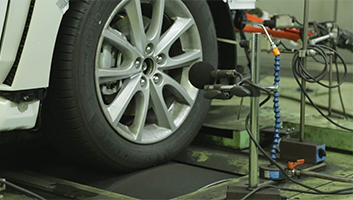 Bench tests that are conducted using the entire car are called CDM (chassis dynamometer) tests. 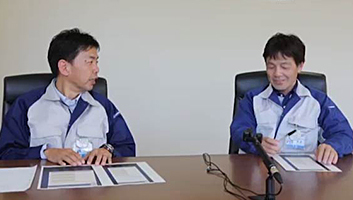 SUBARU operates a "Brake noise CDM (chassis dynamometer)", where the actual car is driven automatically on a CDM to test for brake noises like squealing or grinding. Brakes are commonly known to generate more noise at low temperatures or high humidity. Engineers can replicate the conditions that a customer could encounter by configuring different conditions like high temperature ranges, as well as low temperatures around -10°C, and humidity up to around 80%. Another factor to consider is how the driver pushes on the actual brake pedal, and tests can simulate creeping in traffic at low speeds, high-speed driving up to 130 km/h, and even deceleration on a rate of 0.1 m/s2. A single test usually takes two weeks of continuous driving 24-hours a day, with a microphone recording the noise for further analysis. If the type of noise that the brakes are making is identified, we can also identify the cause as our engineers understand the mechanism behind the noise. Defects can be repaired by isolating the noise. While disc rotors might look like pieces of ordinary cast iron, their precision is crucial. The slightest unevenness in the surface, or difference in thickness can result in vibrations when the brakes are applied, even if the surface of the disc rotors look and feel perfectly fine. Mass-produced disc rotors are manufactured to micrometer-level precision, but during actual use, rain, wind, or snow-melting agents can cause rust to form on the disc rotor’s surface. In time, the rust can cause vibrations or premature wear of the brake pads, among other defects. This is why SUBARU brake pads are designed to remove rust and keep the disc rotors clean. Such quality comes from stringent standards that have been set for each part to always maintain the highest level of performance that meets all conditions required of a commercially available product. An example of this is the "rust removal" test which checks how clean the disc rotors are, and deliberately creates uneven surfaces. Our suppliers often claim that our requirements are too severe. Development usually starts with parts suppliers presenting their best sample brake pads that they have available, but this process rarely proceeds smoothly, as these brake pads need to be fine-tuned even further. 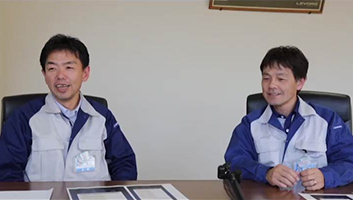 The reason for this is that the brake pads provided by the suppliers simply do not match our specifications, and we need to achieve the right balance for performance. Suppliers are especially known to comment on the tough criteria that we require for quality, in areas such as abnormal noise, vibrations, and braking performance. While suppliers are confident in presenting their best samples, they simply do not meet our test criteria to qualify under SUBARU specifications. Another example is when we feel the need to improve fade-resistance, we know how to modify the required specifications as we have an enormous database of test codes that go back years. The result of this data is the exceptional level of performance found in our cars today, and this is why our suppliers tell us that our requirements and standards are too strict. If a supplier proposed to SUBARU a brake pad material that was already available, it would simply not be good enough. We consider maintaining such stringent requirements our asset, and the end result is the exceptional quality of our SUBARU brakes today. Enjoyable, yet troubling. Braking performance and pedal feel are essential factors for sports-grade models, and these are determined by the actual brake system used. Brembo calipers have a distinct pedal feel, while Japanese manufacturers provide a slightly different feel. The overall feel is affected by the actual brake system, and even the brake pad material used. It is simply not possible to adapt the same brake system for sports-grade models as well as ordinary models and select a system that meets all criteria, so we have to choose the appropriate performing system to suit each type of car. We have to determine whether the trade-off between great braking performance and fade-resistance is balanced appropriately with the level of noise and dust generated. We are the ones who determine the performance levels that we provide to customers, but the biggest obstacle is trying to figure out the balance that delivers the required performance at the highest level. Increasing the brake's friction coefficient improves braking performance and pedal feel, but in turn affects quality in other areas. The ideal balance might be achieved with the brake pad requirements, but the calipers and disc rotors can also play a key role. All this is part of the enjoyment of developing genuine parts. Fundamental development is an essential area when developing brake pad material. 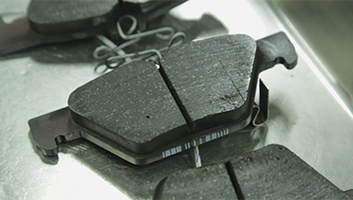 This is why the brake pad materials are always being fine-tuned as cars are being developed. 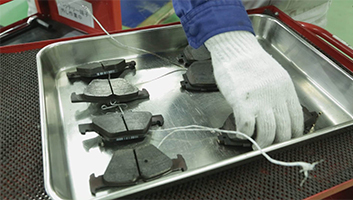 The friction material of brake pads is formed by sintering together many types of substances, and restrictions might be placed on these substances in the future due to the impact that they may have on the environment. One famous example of this is asbestos. More recently, another substance was restricted from 2014, but SUBARU had been preparing for this restriction from 10 years ago. At the core of development is the concept of being as environmentally-friendly as possible, and so we have been producing brake pads that are free of these substances for some time now. For the next stage of development, we are currently in the process of developing a new type of brake pad material to be utilised around 2020 or 2025. 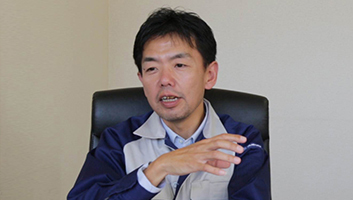 SUBARU's approach is to adopt substances that have less environmental impact by working with plenty of lead-time. Last but not least, there is one more reason why we recommend using genuine brake pads. All models come equipped as standard with VDC and other similar stability control systems. VDC and ABS help control the movement of the car, and have been designed to suit genuine brake pads. Using non-genuine brake pads can result in different friction coefficients and braking characteristics, and may prevent VDC or ABS from performing at their best level. The same applies to SUBARU EyeSight, which controls the braking power to suit the situation ahead using stereo cameras. 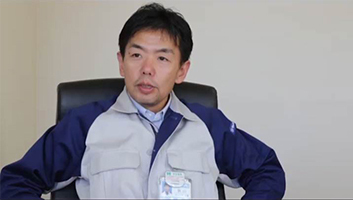 The program that controls EyeSight has been designed on the condition that genuine brake pads are installed on the car. EyeSight and other electronic control devices provide the driver with various levels of assistance to help avoid sudden and unexpected danger. To maximise SUBARU’s concept of safety to the fullest, we have found through the development process that using SUBARU genuine brake pads is undoubtedly the best approach to take.